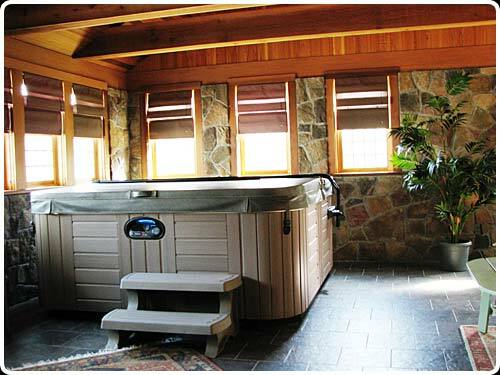 The Jenkins know how to relax, and their spa room with a hot tub is the ultimate relaxation addition to their home. 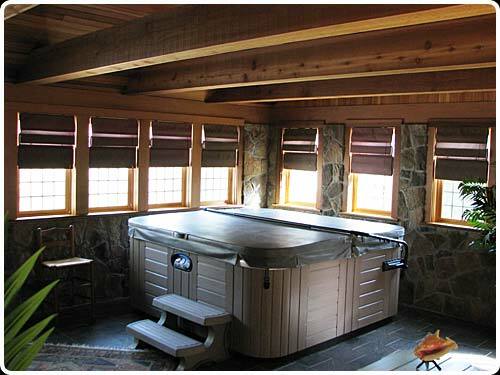 Clear Vertical Western Red Cedar trim around the windows. 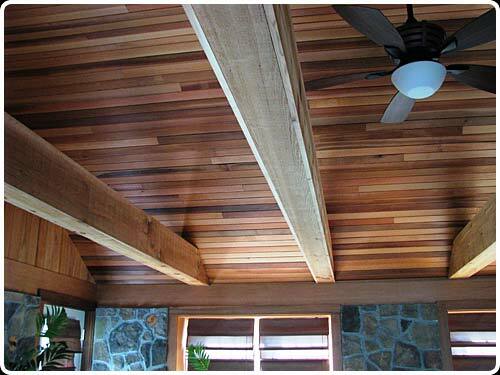 Cedar is specially recommended for applications on moist environments. 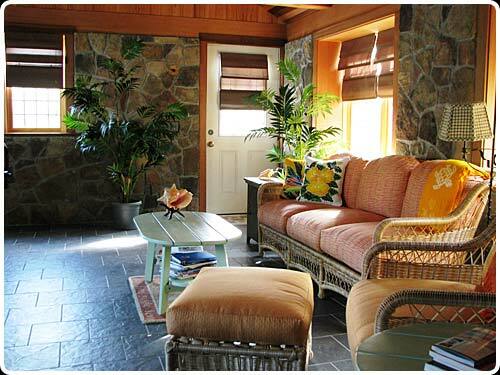 View of the vaulted ceilings and wrapped around beams. 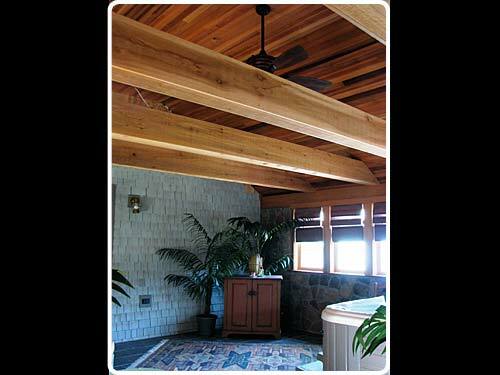 Detail of the Western Red Cedar paneling on the ceiling. 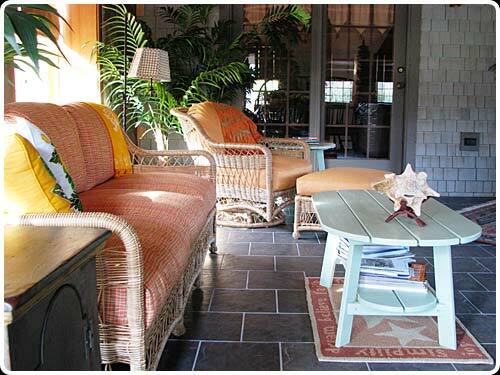 This tongue and groove paneling is 1"x4" A and Better grade, V4E smooth face. 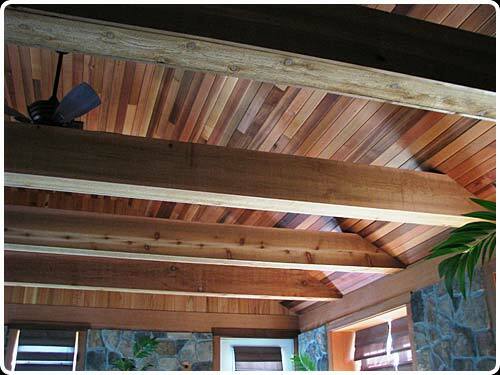 Closer view of the 1"x12" red cedar used to warp around the beams. This is Select Tight Knot material. 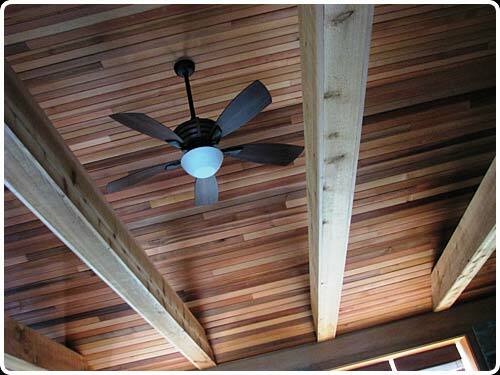 Western Red Cedar can have a nice tone variety, displayed here on the ceiling tongue and groove boards. 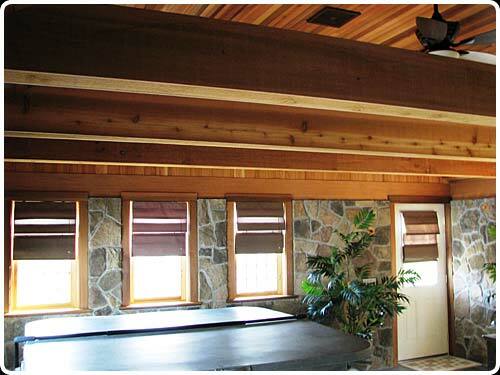 Wrapping beams up in wood can greatly increase the natural feel of a room.